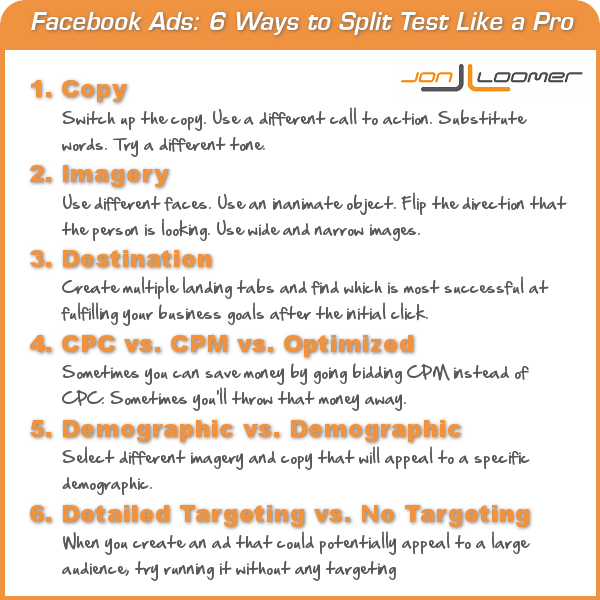 One of the biggest reasons that brands fail in their Facebook advertising efforts is that they do not split test. They create one ad or two ads or three ads… They don’t find success and they label it a failure. The key to success with Facebook advertising is no different than the key to success in almost anything: Fail. Fail a lot. Find what works by trying out things that don’t work. Sound crazy? It’s not. The truth is that most marketing efforts are great ideas that won’t work. If you put all of your eggs into that one basket — without testing and retesting — the odds are stacked against you. That’s why you must split test. You must try out dozens of variations, fail like crazy and find what doesn’t fail. When you realize something that doesn’t work, stop spending money on it. When you discover something that works, ride it into the ground. The following should act as your checklist of ways you need to split test your advertising. You have 90 characters to convince a Facebook user to Like your page or buy your product. That’s hard. You will fail a lot. In other words, you should split test the heck out of this. Create identical ads in every way, including targeting, but with one exception: Switch up the copy. Use a different call to action. Substitute words. Try a different tone. Use an exclamation mark in one but not the other. How you say it is often more important than what you say. You’ve been told that imagery is the key to advertising and to success on social media. The problem is that you don’t know what images people will respond to best to make the desired action. And that imagery will be different from person to person and demographic to demographic. Use different faces. Use an inanimate object. Flip the direction that the person is looking. Use wide and narrow images. Try one that’s black and white and one that’s color. Use a photo with text on it and one without. 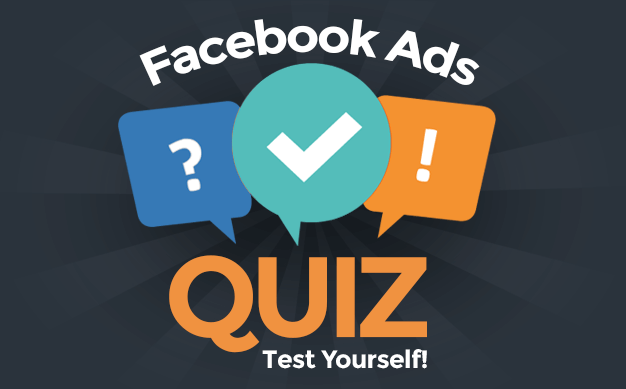 You created a terrific ad that attracts the attention of Facebook users. It inspires clicks. The Click Through Rate is incredibly high. Yet… Those same users are abandoning your Page instead of sealing the deal. Why is that? It’s often because your landing tab didn’t provide what you promised in your ad. So with the same ad, create multiple landing tabs and find which is most successful at fulfilling your business goals after the initial click. Sometimes you can save money by bidding CPM instead of CPC. Sometimes you’ll throw that money away. Likewise, Optimized CPM and CPC targets your ads at people most likely to perform a specific action. That also comes with the prospect of much higher costs and bots. What works best? It depends. Try each one within the same campaign. Whatever works best, run with it. Your ad may be perfect, but it could be targeted at the wrong audience. Maybe your imagery, offer and copy will reach optimal efficiency when targeted at 40-50 year-old men, and you’re throwing money away when targeted at everyone else. How will you figure out if this is the case? Split test like crazy. Select different imagery and copy that will appeal to a specific demographic. Or try out a generic ad, split tested to age and gender groups. Sometimes, you can over think it. If you target an ad too much, you can cut out a segment most likely to positively respond. And when you loosen up targeting, ad pricing typically goes down. So when you create an ad that could potentially appeal to a large audience, try running it without any targeting at all and see how it does. Who knows? You may have a winner! Don’t tell me in one breath your Facebook advertising failed and in the next say that you only ran one or two ads. The Facebook ads didn’t fail, you did. Do me a favor: Next time your advertising is struggling, stop. Try something else. Try a dozen “something elses.” Don’t throw money away, but keep trying something new. Are there any other ways that you split test your ads? Let me know in the comments below!